Add a statement furniture feature to your living space with the Monica Desk from the Daytona range by Signorini and Coco. 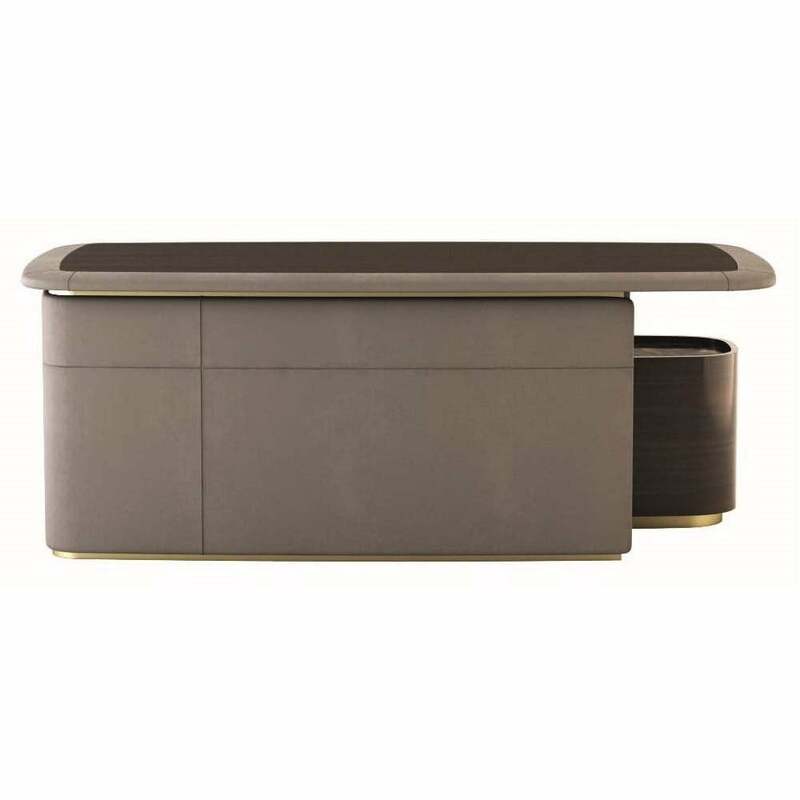 Dark and dramatic, the Monica desk embraces a dramatic art deco style. The unusual curved shape with soft rounded edges is upholstered in a luxury leather with a meticulously handcrafted surface in precious wood veneer. Exquisite detailing extends to fabric lined drawers complemented by a pure burnished brass base and lower shelf. Style in your home office for effortless stylish glamour.